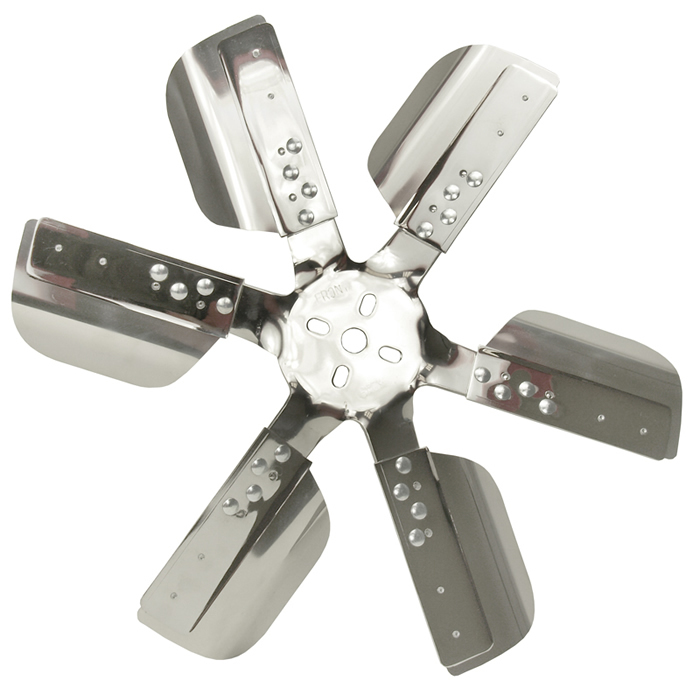 This 18" heavy duty standard rotation fan features beautifully polished and chrome plated steel hubs and 6 polished stainless reinforced blades with a large surface area that improve performance and fuel economy and is rated up to 10,000 rpm. 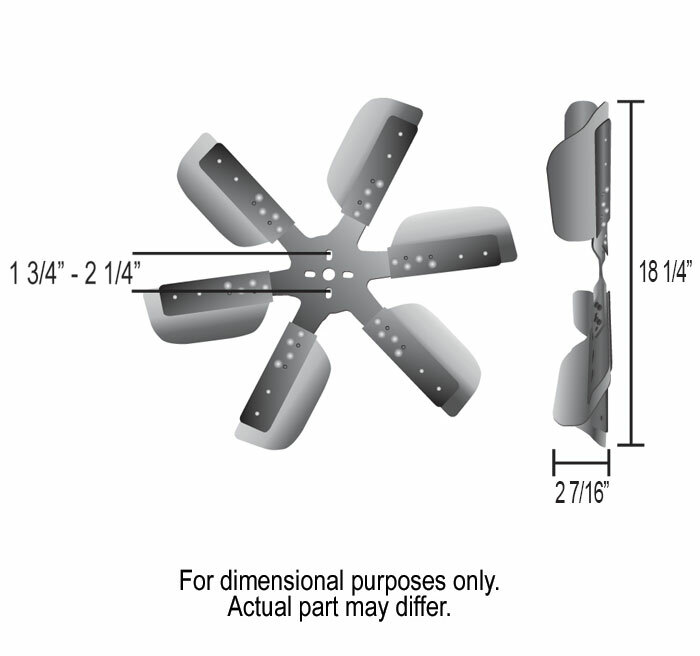 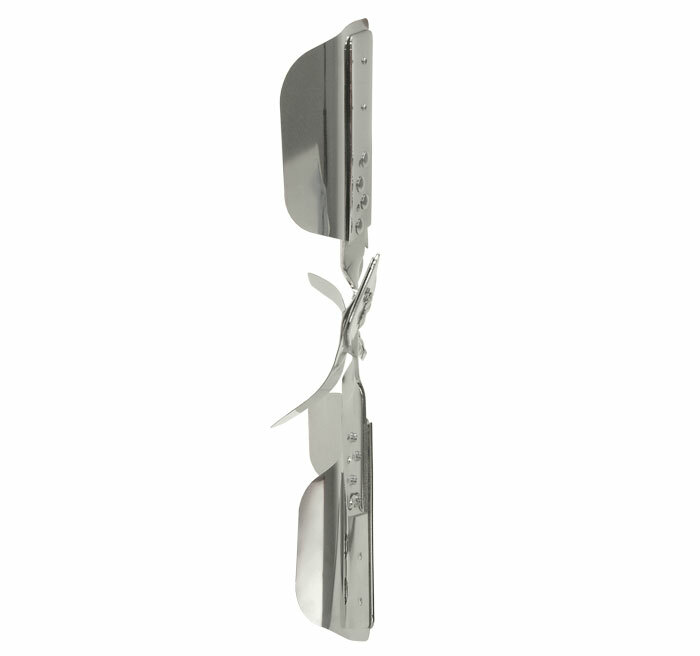 The large surface area of the blades pull more air at lower speeds than other flex fans. 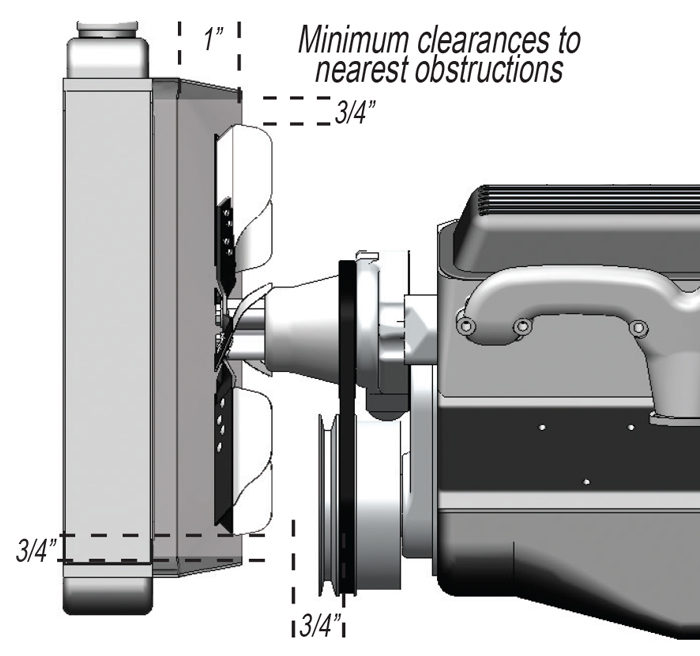 Mounting surface to rear: 2-1/8"